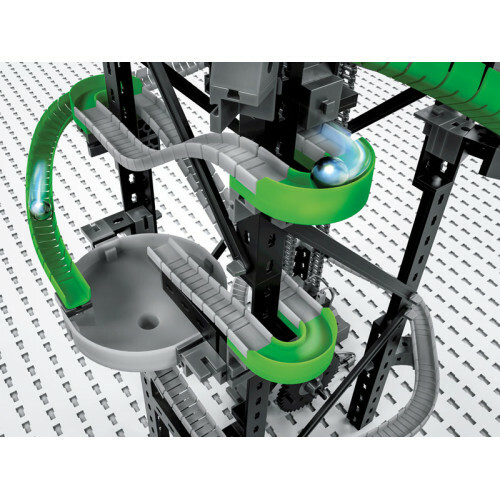 With the expansion set Dynamic High Speed, every fischertechnik marble run can be creatively built and customised to be even faster and more full of twists and turns, with additional high-speed flex-rails, 180° curves and attachment pieces. 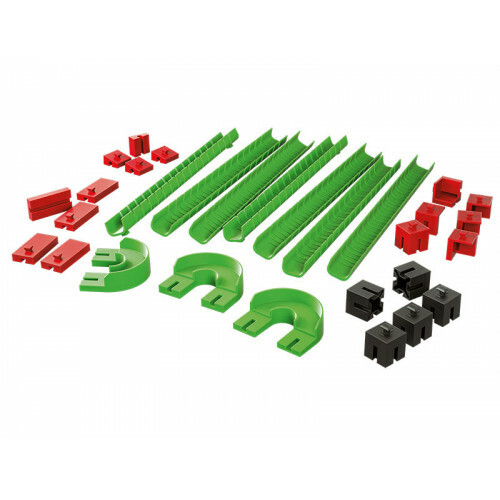 The high speed flex-rails with raised edges grants maximal marble speed in the curves. 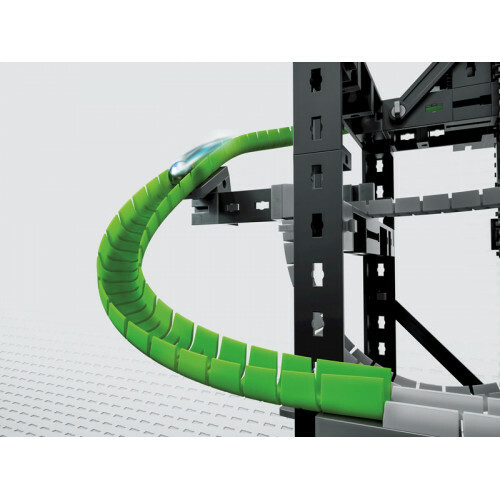 The 180° curve allows the direction of the marble to be changed even in the narrowest spaces. 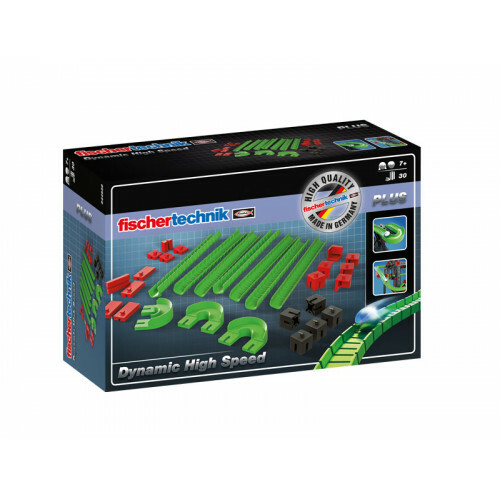 With the Dynamic High Speed Set, there are no limits on creativity, to bring even more action and speed to the fischertechnik marble runs.